While I was working on my 26 Days of Making series last month I received several packages in the mail worth mentioning. You know that I usually like to review one thing at a time, but I'm doing it a bit differently today—or I'll never get to them. So here we go, with a little something for everyone. This is a sweet book that belongs to the Make Good Books series that I've reviewed in the past. It is styled very nicely and the photos all make you want to jump in and enjoy that homemade feel. I'm not a person that sews, but I can see that the projects are fairly simple. So simple, in fact, that I'm going to give a couple a try over the summer. 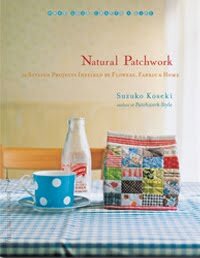 The projects range from tote bags, pillow covers, and kitchen items to more complex quilts (at least for me!) and zipper bags. You can download PDF instructions to a couple of projects in the book here. 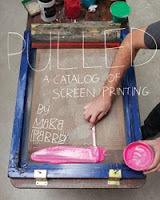 This book tugs at me because screen printing is something that I've worked with and have always wanted to try. There is a lot to be said about this handmade art form and this book doesn't disappoint. It's a thick book with many, many styles and artists to peruse over. I still am flipping through it every day finding something new each time. It's a good book to have on hand for reference. As soon as I saw the cover on this book (different than the one on Amazon) my hopes of flipping through gorgeous simple projects shot up. I wasn't disappointed. If the extreme heat of this city didn't exist, I'd be more inspired to knit every day. The good news is that this book will definitely help me get started. The projects are simple in design and so stylish. I started to photograph sample spreads of each book and ended up making an impromptu short video instead. I hope that you find something that you can try yourself. Summer vacation is officially going to start on the last day of school which is this coming Friday. I'm so ready for it. I want to do some knitting or crocheting and a lot of reading. 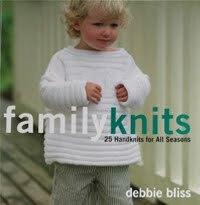 Sewing will also be on the agenda since my little C has several projects on her mommy-please-make-this wish list. Do you have any making plans for the summer (or winter if that's your case)? If you don't, what's on your wish making list?